Bestselling author Barbel Mohr's books have sold over a million copies worldwide. She is the creator of the Cosmic Ordering technique and author of the original book which introduced to the world this powerful way to tune into the universe and manifest all the things that you truly desire. In her final book, The Miracle of Self-Love, she goes one step further and explains that love, friendship or wealth can only become a permanent fixture in your life once you have first learned to truly love yourself. After years of experience working with seminar participants, it was clear to Barbel that the universe can only work its magic if we are feeling love and appreciation for ourselves, as well as for others. 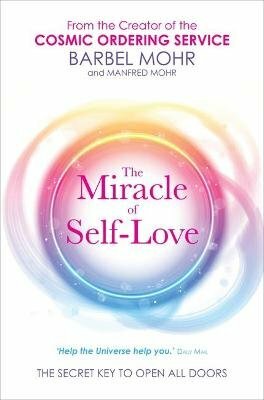 With numerous practical tools, including self-love mantras and visualization exercises, this book teaches you how to cultivate a fundamentally positive and loving relationship with yourself so that you can know the miracle of self love, and the abundance of joy that it will bring to your life.